If you are looking forward to buying an apartment in Chandigarh, you can check out the wide range of amenities in La Prisma. The residential complex has been developed in recent years by one of the top developers in the city. 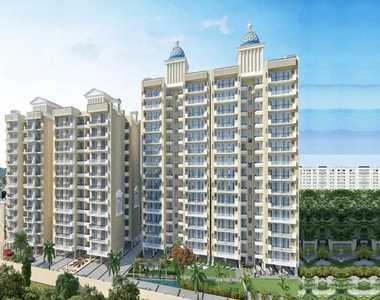 Experience a quality lifestyle in 2,3 and 4 BHK apartments in the complex. The residential complex brings you flats that are loaded with features. Spacious and well-ventilated, you will enjoy the lifestyle here once you move to the apartments. The city has been witnessing developments in the social and commercial infrastructure over the years. Several blue-chip companies and IT firms have come up in the city. This offers a great business potential and employment opportunity to the residents. If you are interested in buying an apartment in the complex you can check out the La Prisma price for the exact configuration you need and make the purchase. The architectural splendor of the complex is mesmerizing. The main entrance of the estate has got water sculptures. When you move to an apartment in the estate, you can leverage the class of your living. The residents can enjoy ample parking space in the complex. The apartments are spacious and come with large balconies that provide a direct view to the greenery around the estate. If you love green living facilities, you can get an apartment here. The complex has got several parks and green zones, along with fountains, tree-lined boulevards, and sitting areas. The residents can enjoy their time in the parks and walkways during leisure hours. You can also find quality time in the elegant clubhouse in the complex. The amenities in the residential complex include an open-air theatre, yoga and meditation garden, kids splash pool, Gazebo, and outdoor sports court. For health and fitness enthusiasts, the complex has a lot in store. They can engage themselves with a lot of indoor and outdoor sports activities, including swimming, gym, badminton and much more. Besides, kids can play in the spaces dedicated to them and spend time in the library reading books. The complex also has swings and sandpits for the children. One of the key reasons for the high demand for apartment in La Prisma Zirakpur is the location advantage. The residential complex has been developed close to the important commercial zones in the city. The transportation system in Chandigarh has been improved substantially in recent years, which make it possible for the residents to reach their destinations across the city seamlessly. The places of entertainment can also be accessed seamlessly from the residential complex. 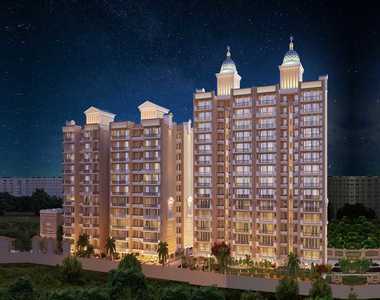 Investors and homeowners willing to buy an apartment in La Prisma Chandigarh should make the purchase now. The property prices will be escalating in the coming months, and real estate investors can gain lucrative returns in future. Paras Downtown Mall - 5 Mins. Hotels & Restaurants - 2 Mins. Medical Facilities/Hospital - 5 Mins. KFC/Mc Donalds/Gopal's - 2 Mins. Railway Stations - 20 Mins. Bus Terminal - 5 Mins.